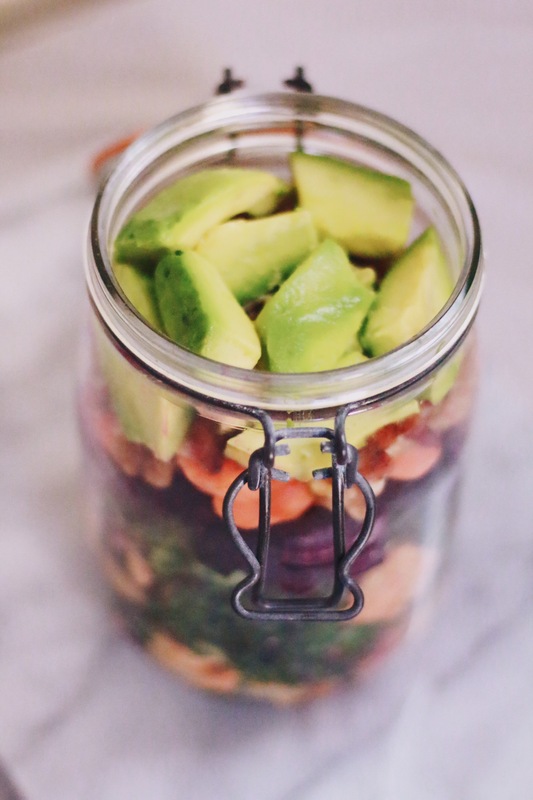 Kilner jars are my favourite way to store ingredients and take food with me. The perfect carrier for a delicious Lunch To Go. You can use them to take a delicious meal anywhere, just always work on the the backwards principle of how the food will combine in the jar- in other words dressing first, then the heavier ingredients finishing the most delicate or prone to bruising or being bashed on the top. One great way to always have a yummy lunch at your finger tips is to have a number of jars with different ingredients in your fridge, e.g. 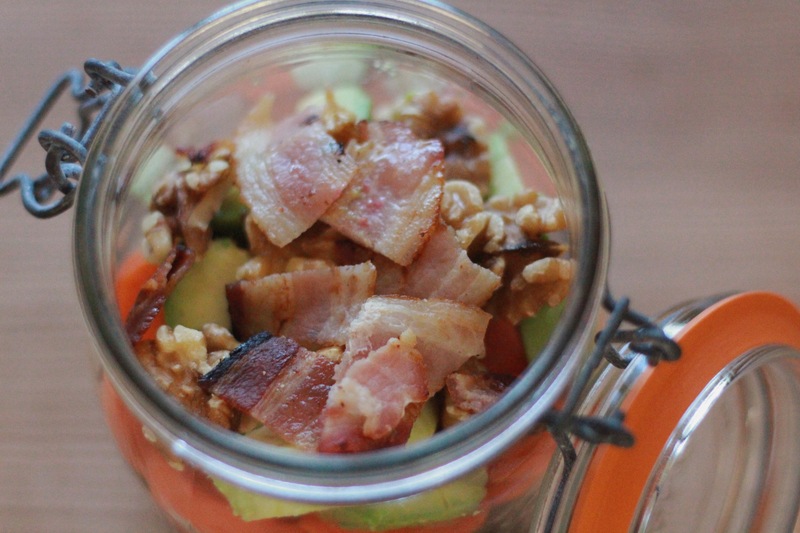 one jar full of; bacon bits, sweet potato, roasted beets, avocado, sweetcorn, left over roast chicken etc. Then on any given day you can layer up your lunch of what you fancy and your good to go. This might sound super organised but spend an hour on Sunday organising your ingredients and you’ve got your lunch sorted for the week. I love storing my food and transporting it in glass containers as their is evidence that plastic can pass on toxins to the human body and even debate that this can happen with BPA free plastic too and of course can contain petrochemicals and xenoestrogens. Glass is also easy to keep clean, looks beautiful, doesn’t develop weird cracks, smells and is usually cheaper than plastic containers. And last but not least glass is more environmentally friendly. 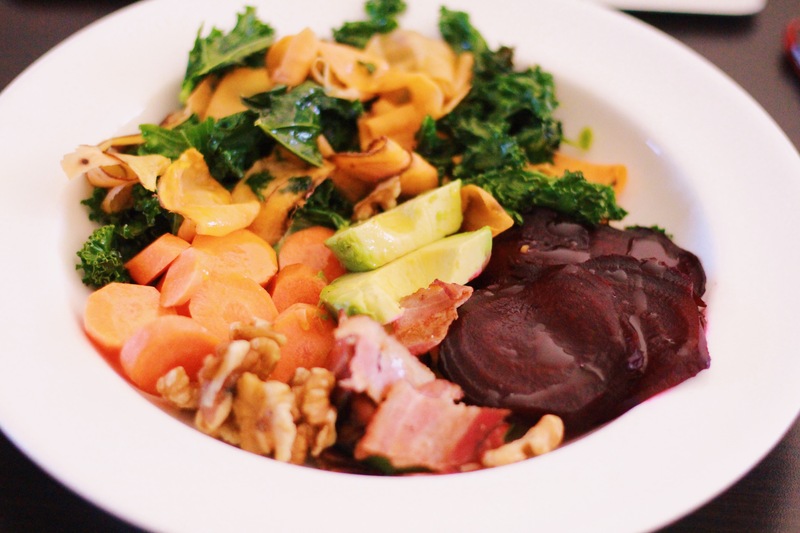 This is one of my favourite salads and is a mixture of ingredients I usually have in my fridge. Full of good fat, antioxidants and super nutrients and vitamins. A fantastic tasty portable salad that will keep you fuelled and nourished wherever you go. Mix 2 x part extra virgin olive oil to, organic apple cider vinegar, and add a dash of lemon juice. For one serving I use 2 x tablespoons of extra virgin olive oil, 1 x tablespoon of apple vinegar and 1 x teaspoon of fresh lemon juice. 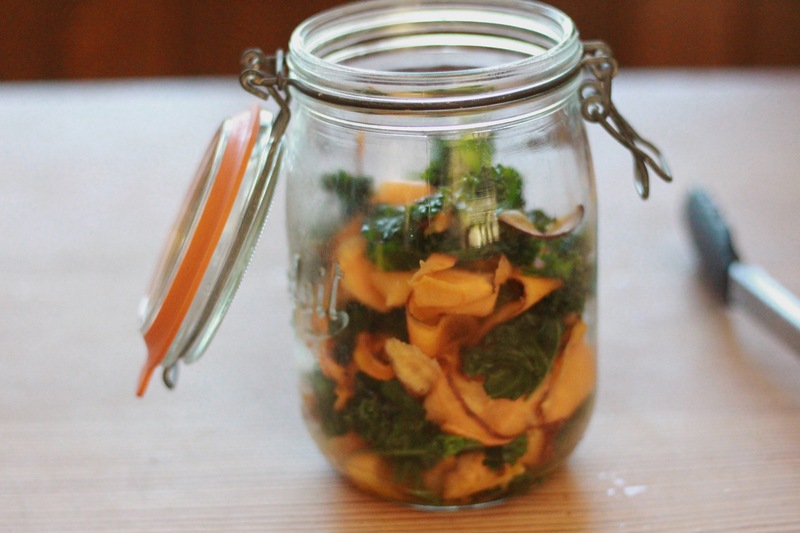 Pour this dressing in to the bottom of your Kilner Jar. Add the rest of the ingredients layer by layer. Notes: This salad as a whole will keep in the fridge covered for up to 24hrs but expect some colouration of the avocado.